Each RJ12 Telephone and Network Wiring Connector packed into one poly bag, 300-500pcs per carton, 16-20cartons per pallet. Each pallet wrapped with a waterproof film, and fastened by safe belt. RJ12 Telephone and Network Wiring Connector is a device for connecting traditional analog telephones, fax machines, and similar customer-premises devices to a digital telephone system or a voice over IP telephony network. 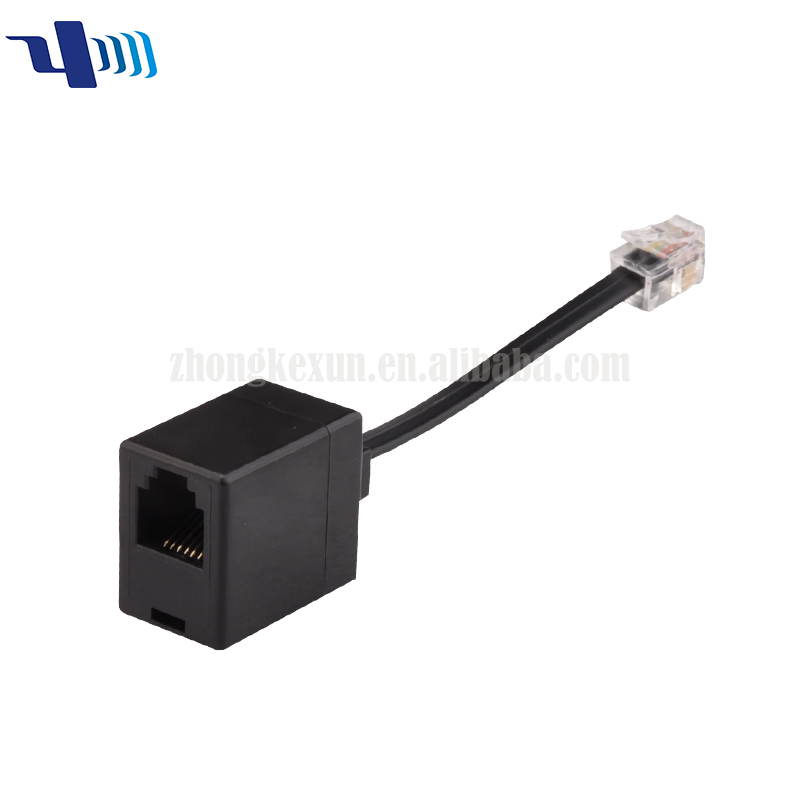 RJ12 Telephone and Network Wiring Connector is connected between an IP network (such as a broadband connection) and an existing telephone jack in order to provide service nearly indistinguishable from public switched telephone network (PSTN)providers on all the other telephone jacks in the residence. 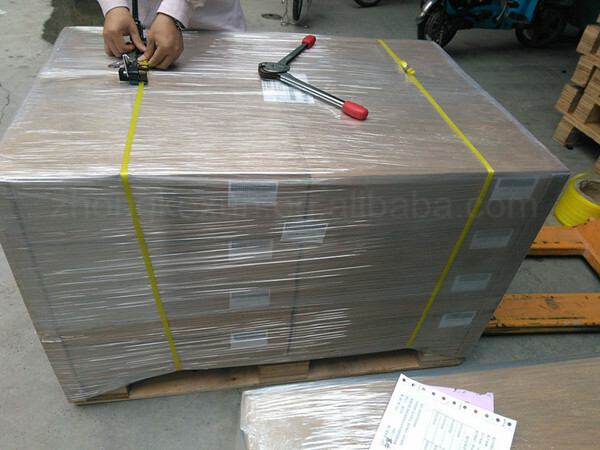 Each RJ12 Telephone and Network Wiring Connector packed into one poly bag, 500pcs per carton, 16-20cartons per pallet. If the order quantity is less than MOQ, we suggest you ship by Express. For the bulk quantity, please ship by sea and air. 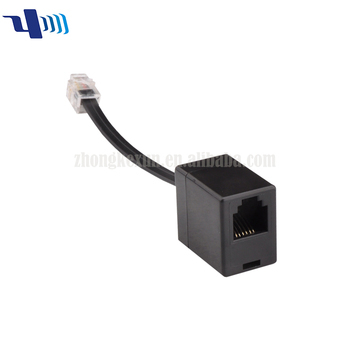 Shenzhen Zhongkezhixun Technology Co., Ltd has specialized in manufacturing ADSL Splitter/Filter, Telephone Adapter, Telecom parts and accessories over 20 years, which covers an area of 8000 square meters and has professional staffs over 300. With more than 20 years experiences, ZKZX has armed with advanced automatic equipments and featured a professional team who gets rich experiences in design, technology, and quality control, which make us to be a long-term supplier from Gigaset, Panasonic, Sagemcom, Huawei etc. Certificated by ISO9001, we have built up an efficient ISO and RoHs operating system which guarantee your satisfaction at our highest quality and best service. 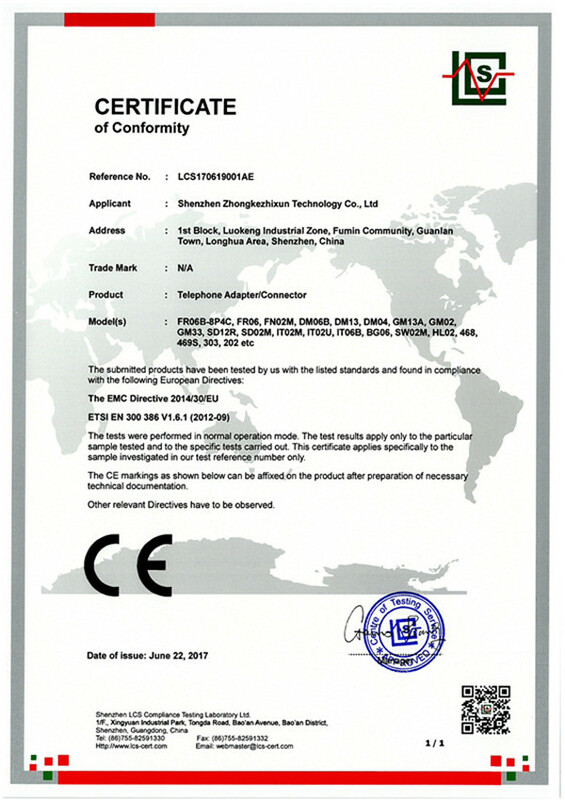 All of our proucts passed CE, ISO certificate, and all of our raw material have UL, RoHS, REACH, SGS report. ♦ What is your MOQ? Can you offer us samples? 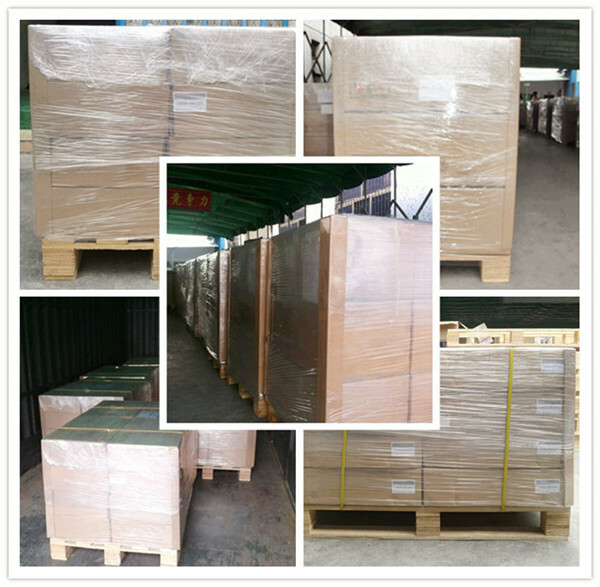 Our MOQ is 3000pcs as usual, it all depends. 2-3pcs samples are free, if it is our regular product. If we make the samples according to your requirement, there would be samples fee,but we would return to you after we cooperated. ♦ What is the trade term? The trade term is Ex-works, FOB,FCA,CIF, DDP and so on. ♦ What is the payment term? 40% payment by T/T in advance, balance 60% paid before delivery. ♦ Can you tell us what is your gurantee for quality? 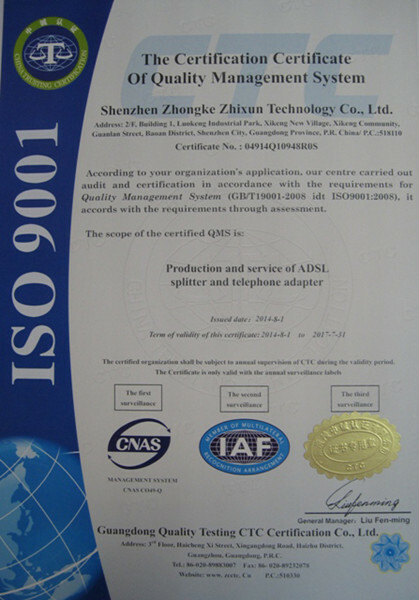 All of our products are passed ISO 9001 and CE certificate. We can make sure each product is qualificated product before delivery. ♦ What is the delivery time? The lead time is about 20 days after we confirm got your deposit. It all depends. ♦ How can we know what is the type of your business, factory or trading company? Our company is factory direct, located in Luokeng Industrial Zone, Fumin Community, Guanlan town, Shenzhen. Welcome to visit our factory at any time. 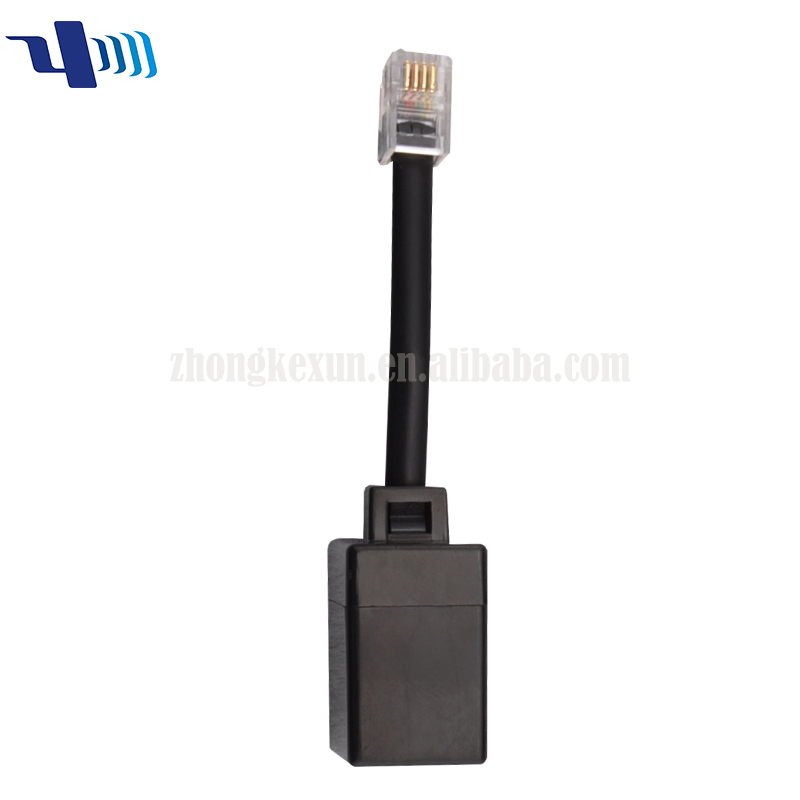 Shenzhen Zhongkezhixun Technology Co., Ltd.